*** "Fantastic location!" *** meander down a winding brick walkway & you will see a captivating 4 bedroom, 2. 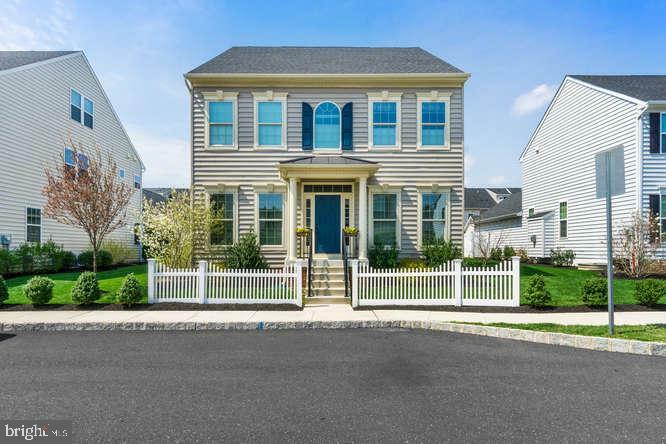 5 bath center-hall colonial in the fieldstone place development! Welcoming "new" front door! Inviting foyer with cherry hardwood floors! Formal living & dining rooms appointed with chair rail moldings & cherry hardwood floors! Beautiful "eat-in" kitchen with plenty of cabinetry, granite counter tops, stainless steel appliances, under cabinet lighting, large breakfast bar, pantry + breakfast room with built-in serving area & tile floors! 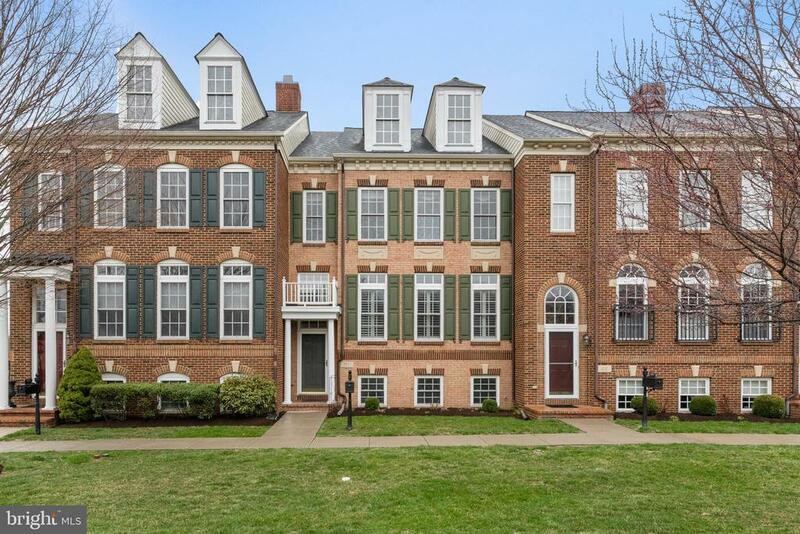 Fabulous family room with cathedral ceilings, brick fireplace with wood burning stove, pocket doors, engineered walnut hardwood floors & sliders to private rear brick patio! Large laundry room/mud room with tile floors! Updated powder room with vanity with granite top & tile floors too! Master bedroom suite with "walk-in" closet & a "new" master bath with double bowl vanity, "xl" tile shower & tile floors! Generous bedroom sizes throughout! "new" hall bath with tile floors! New roof in 2014! New hvac system in 2017! 200 amp service! Unlimited possibilities with a large unfinished basement! Plus enjoy a beautiful brick patio overlooking common grounds! Located in the "award-winning" central bucks school district! It's a great place to call "home"! This beautiful custom built, brick home sits on 1. 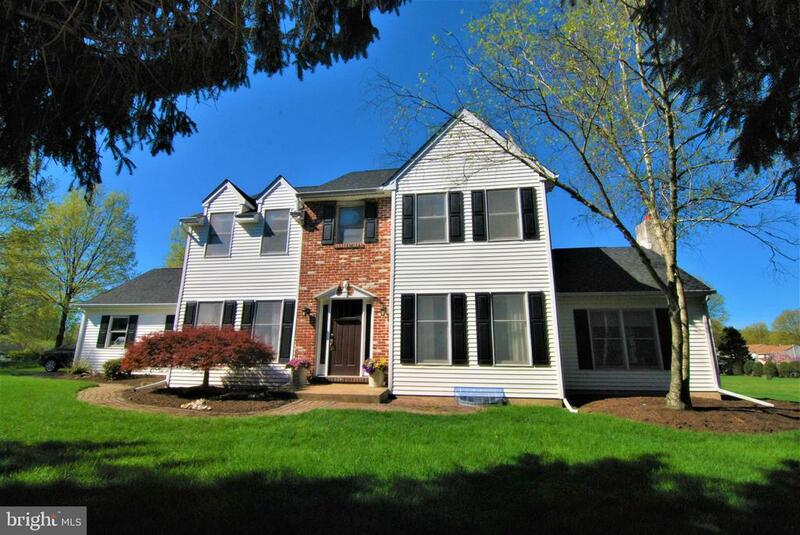 8 private acres in the sought after community of deer valley, in the cb east school district. This lovely home has loads of curb appeal and a stately paver walkway leading to entryway. The foyer has hardwood floors and is flanked by formal living and dining rooms, both with hardwood flooring. The kitchen has been completely renovated with gorgeous granite counters, custom cabinetry, including two large pantry cabinets with glass paned doors, and high-end stainless appliances. The large custom granite island offers a beautiful and large space for cooking and entertaining. The breakfast area overlooks the patio and pool with long distance views of the private yard. There is plenty of yard space for all sorts of ball games and summertime barbecues. The large family room with floor to ceiling stone fireplace and vaulted ceilings flows from the kitchen and offers a spacious and open floor plan. This gathering room is large enough for a tv area, game table area and more. A first floor office space with pocket doors is tucked away off the kitchen, as is the laundry room and powder room which was updated in 2017. Upstairs, the master suite is very spacious and private. The master bath has been completely updated in 2014 with a claw foot tub, rich wood vanity with double sink granite top, large tiled shower with frameless glass enclosure and new fixtures and lighting. There are three additional large bedrooms with large closets serviced by a hall bath that has also been completely renovated with a white cabinetry double sink granite vanity and tiled shower with glass enclosure. New lighting and fixtures in the hall bath as well. The garage is an oversized 2-car garage. This home has a new sand mound in 2008 and a new roof in 2014. A wonderful place to call home. Welcome to the reserve at holicong in buckingham, a community with tree-lined streets surrounded by preserved land and trails for hiking and biking. This pristine tiffanie model offers a flowing floor plan featuring a gracious 2-story entrance with butterfly staircase. Gleaming wood floors begin in the foyer and continue back to the kitchen and breakfast room and create a cohesive feel by framing inlaid carpeting in the formal living, dining and family rooms. The spacious and well-appointed living room and dining rooms, including a butler's pantry, make entertaining a pleasure. The gourmet kitchen features 42" cabinets, granite counters with a custom tile backsplash, stainless steel double sink, a gas cooktop, wall oven and built-in microwave, and an island with extra cabinets and seating. Open to the sun-filled breakfast room with french doors leading to the glass atrium for enjoying the latest mystery novel. An expansive deck offers al fresco dining and overlooks the secluded back yard. Soaring floor-to-ceiling windows flank the fireplace and afford an abundance of sunlight and embrace outside views in the 2-story family room. Tucked around the corner, an office/study is conveniently located on the main level. The laundry room has cabinetry and a utility sink, along with both an outside door and access from the 3-car garage. A back staircase and powder room complete the main level of this most exquisite home. Upstairs, double doors lead to the luxurious master suite which boasts a cathedral ceiling, two large walk-in closets, a sitting room and a spa-like master bath with skylight, a corner whirlpool tub, seamless glass shower enclosure, and a granite vanity with double sinks. Three more nicely appointed bedrooms include a princess suite with full bath and walk-in closet, while the other bedrooms share a hall bathroom. 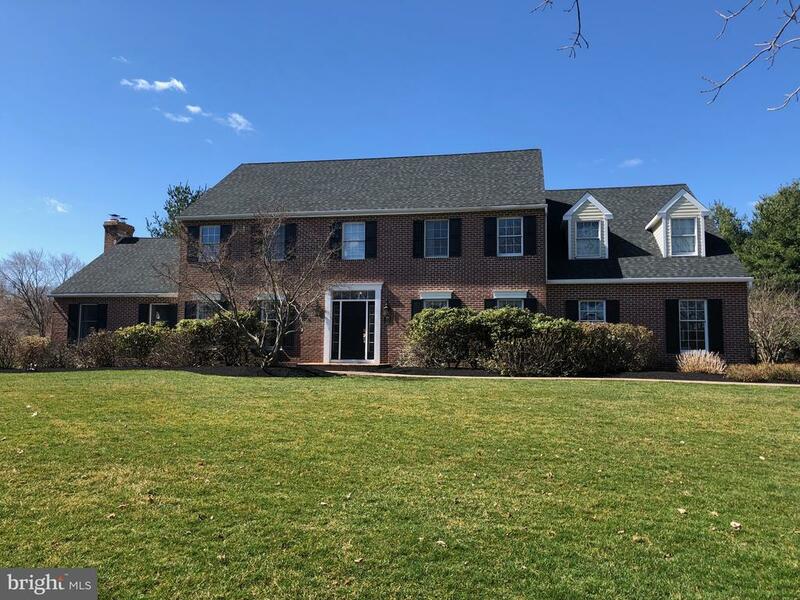 Close to historic doylestown and new hope, and about a mile from holicong middle and cb east high school, this location is an easy commute to philadelphia, new jersey, new york and the adjacent counties. Also close by is the septa train station, local museums, plenty of shopping, dining and entertainment. All this in award-wining central bucks school district. Even a 1-yr buyer's home warranty is included for extra peace of mind. Truly bucks county living at its best! Wow! 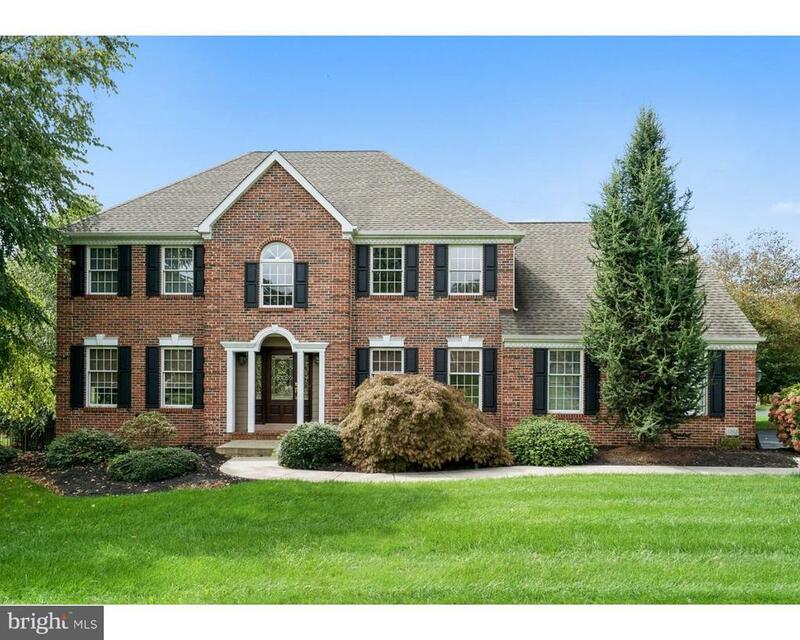 Over the top brick colonial in fox hunt! Pictures and video don't do it justice. You need to see this home! The exterior is finished in hardibacker siding with azek trim on all new windows and a gaf timberline roof. Upgraded and updated throughout, this home has top of the line everything! Meticulously manicured, mature landscaping leads you to the mahogany wood front door into a 2 story foyer with well appointed wainscoting, crown molding and an oak staircase. The gourmet kitchen offers 42 inch cabinets, granite countertops, tumbled marble backsplash, farm sink and top of the line stainless steel appliances. Enjoy the cozy ambiance of the large family room with beautiful mahogany wood floors and vermont castings wood burning stove or relax in the large, sunken sun room with vented skylights. Stunning master suite has hardwood floors and a sitting room with his/her walk-in closets. The master bath has a walk-in 5 x 7 shower with custom italian tile, rain bath and a double bowl vanity with granite countertop. Finished, walk-out basement has a full bath along with a stone bar that includes a granite countertop with bar sink. Take in nature from the zuri deck and tranquil backyard with 7 person hot tub and heated, in- ground swimming pool. Oversized 2. 5 car detached garage complete with heat, water and a loft storage. Seller just replaced the pool liner and added a high tech security system, updated some lighting throughout as well. *** "Amazing home!" *** spacious 4+ bedrooms, 4. 5 baths home offering 5,000+ square feet of living space with a "picture-perfect" neighborhood setting overlooking the neshaminy creek! Great curb appeal with a welcoming paver patio courtyard setting! Inviting covered front porch! Dramatic double door entry to "2-story" foyer accented with a turned-style stair case, custom moldings & 7" hardwood floors! Formal living room with 10' ceilings, big bright bay window, crown & chair rail moldings, wains coating & 7" hardwood floors! Formal dining room appointed with sun burst window, crown & chair rail moldings, wains coating & 7" hardwood floors too! Huge gourmet kitchen equipped with plenty of cabinetry, granite counters, ceramic tile back splash, stainless steel appliances, gas cooking, large island, pantry, recessed lighting + breakfast room with cathedral ceilings, 12" ceramic tile floors + an atrium door to a private composite deck! Fantastic "2-story" family room with recessed lighting, marble gas fireplace, back stair case & 7" laminate hardwood floors! 1st floor study with custom built-in desk with granite counter top & recessed lighting! Powder room with bead board moldings, pedestal sink & 7" hardwood flooring! 1st floor laundry room with stainless steel laundry tub! Luxurious master suite with double door entry, huge dressing room & "walk-in" closet with custom wardrobe closets + pampering master bath with "his & hers" vanities, "xl" jacuzzi tub, "xl" ceramic tile shower & 12" tile floors! Spacious bedroom with ceiling fans throughout! Large hall bath with double bowl vanity & ceramic tile floors! Enormous 3rd floor loft/great room with full tile bath would make a great au pair suite! Unbelievable fully finished" walk-out" lower level encompasses a game room equipped with a custom bar, recessed lighting, wall lighting, pendant lighting & tile hardwood floors + "new" full bath with subway tile shower & walls, pedestil sink & tile hardwood floors! Exercise room! Plus a utility/storage room! Multi-zoned gas heating & cooling system! Entertain all your guests in the inground pool with hot tub surrounded by a huge paver patio overlooking the picturesque neshaminy creek! Located in the "award-winning" central bucks school district! 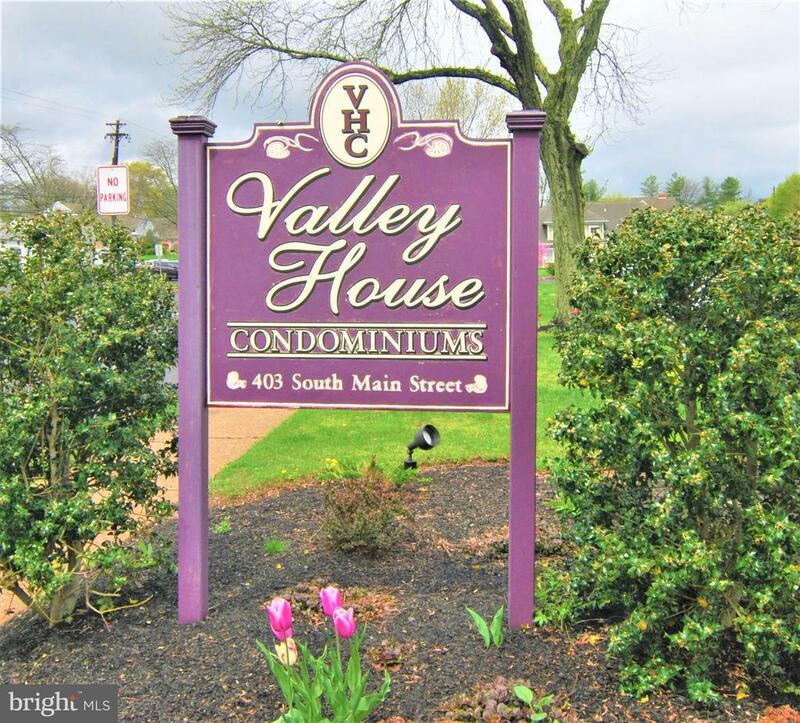 Just minutes from historic doylestown "boro", restaurants, shopping, train station & public transportation! It's a great place to call "home"!